The qualities that we are trying to develop as adult Ki Aikido students are equally relevant to the development of children. Self-confidence, calmness, a positive and non-aggressive outlook are all qualities that will benefit a child when dealing with other children and adults. 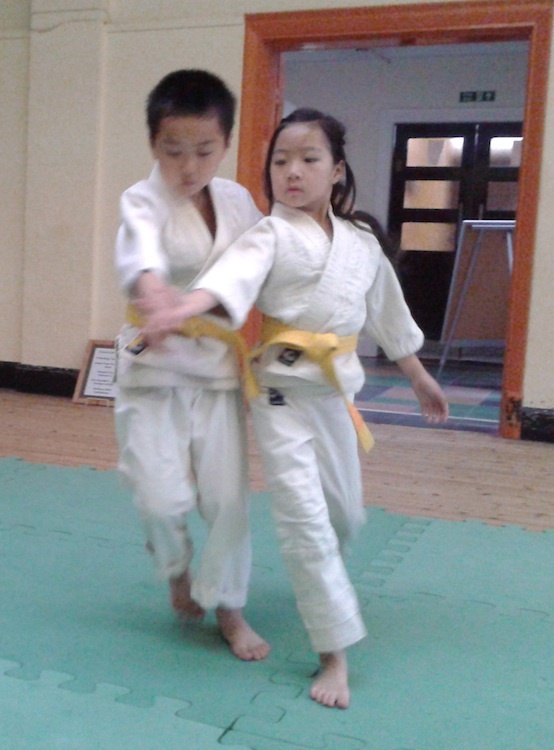 Of course there are other benefits to Junior Aikido - don't forget they are doing physical exercise and having fun. 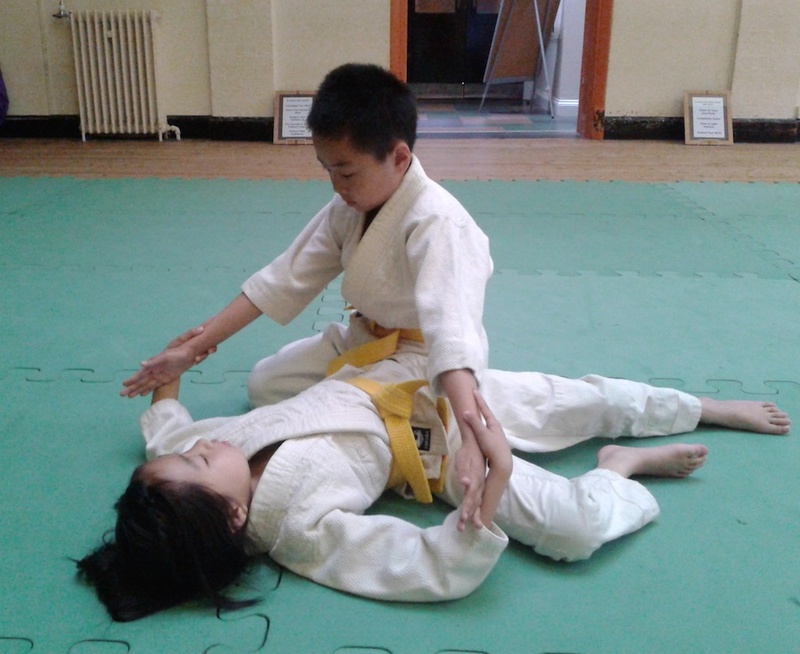 To see children effortlessly zooming across the mat on their knees (suwari waza) is a wonderful sight. 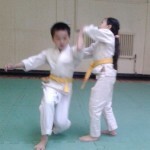 I have been teaching Junior Aikido classes now for many years. I am still amazed at how easily the children grasp the concepts behind Ki Aikido and how powerful they can become. They are usually an open book. They don't have all the fears, doubts and negative concepts that most people have collected by the time they become adult. If a child is asked to think a specific way, they will just do it. Whereas adults usually try to analyse and pass judgment on what is asked of them. Thus doubt and fear blocks their mind and actions. Generally, the children take to Ki Aikido much more easily than adults do. There is no place for aggression in Ki Aikido, so we are not teaching children to fight or be aggressive. However, we are able to give them practical tools to deal with problems that may occur in their lives. Several junior students I've taught have told me that they used to be bullied at school. 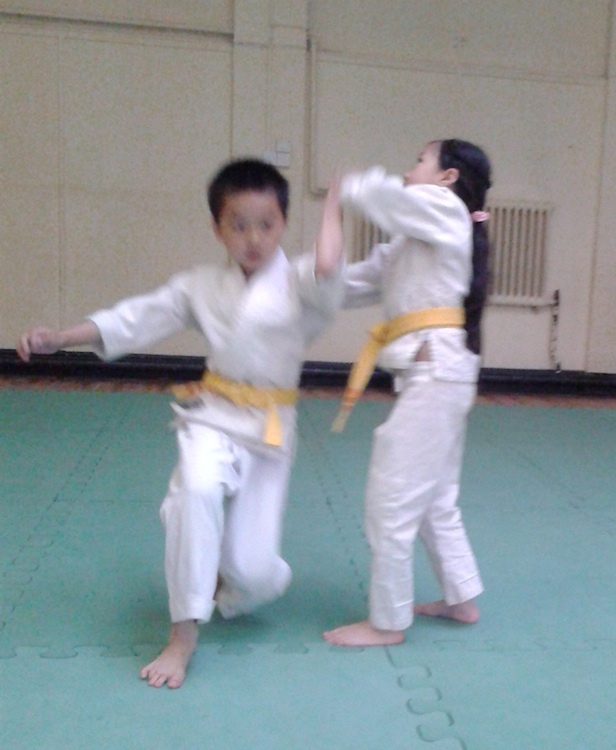 Then, after practicing Ki Aikido for a little while, all the bullying stopped. It was not because they tackled their bullies physically, but simply that they didn't react - they no longer felt angry or frightened. There can be many negative influences in modern society. These include TV and other media, the quest for social or economic status, peer pressure and celebrity behaviour. As we grow up, these can influence our ideas and perceptions. 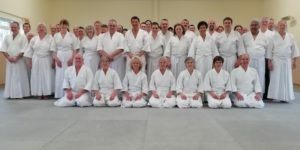 When an adult starts Ki Aikido (and I include myself here) the practice often becomes one of unlearning all these ingrained negative habits and concepts. 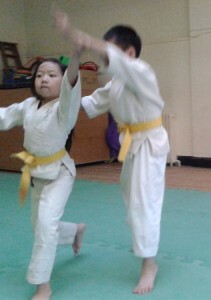 As a teacher of Junior Aikido, I see my job as one of helping the young students to keep what they already have. If, through Ki Aikido, children can keep their natural abilities as they grow up, then I strongly believe that will be a huge benefit in their adult lives.